For many people, the task of hiring a deck contractor comes with a lot of stress and questions. Bad contractors are in every city. HGTV shows feature countless stories of people just like you, being left high and dry after trusting the wrong person. You may even know someone personally who’s had a bad experience with a contractor. But, that doesn’t have to be your story. It’s common for most contractors to ask for a deposit of 10-25% before work starts. If you’ve ever been burned by a company who no-showed, you can appreciate the sense of security that a reasonable deposit affords both parties. A reasonable deposit is professional and binding. However, a disproportionate up-front charge is concerning. If your contractor is asking for payment of 30% or more before any work starts, they better make it crystal clear why that’s necessary. Get a few quotes and see if other companies are making the same request with the same justification. If there seems to be no way around it, protect yourself by consulting a construction attorney before paying up. When you hear “cash” think, “undocumented”. This is good for the dodgy contractor because they don’t have to pay taxes and fees on the revenue. But, it’s bad for you because if anything goes wrong, you have little recourse. If someone is pushing you to pay in cash — even for a discount or other incentive– make sure you’ve got strong documentation of your agreement in writing. Without payment records, claims may not be defendable in court and a dodgy contractor can essentially walk away with your money. If the contractor insists on cash terms and resists documentation, don’t walk, run away. Reviews are a great resource for finding high-quality contractors. You wouldn’t choose a company that has tons of negative reviews, obviously, but you should also be wary of ones with only great reviews. There’s not a single contractor that has never had an unhappy client. If they have only positive reviews, you’re only getting part of the picture, and it’s not the most helpful part. Negative reviews give you an opportunity to see how a company deals with a mistake or misunderstanding. Check out 3 things you should know about online reviews. Look for companies with a mix of reviews. Pay attention to the way they respond to any negative reviews or if they respond at all. Note the particular complaint the review addresses and why the situation may have arisen. 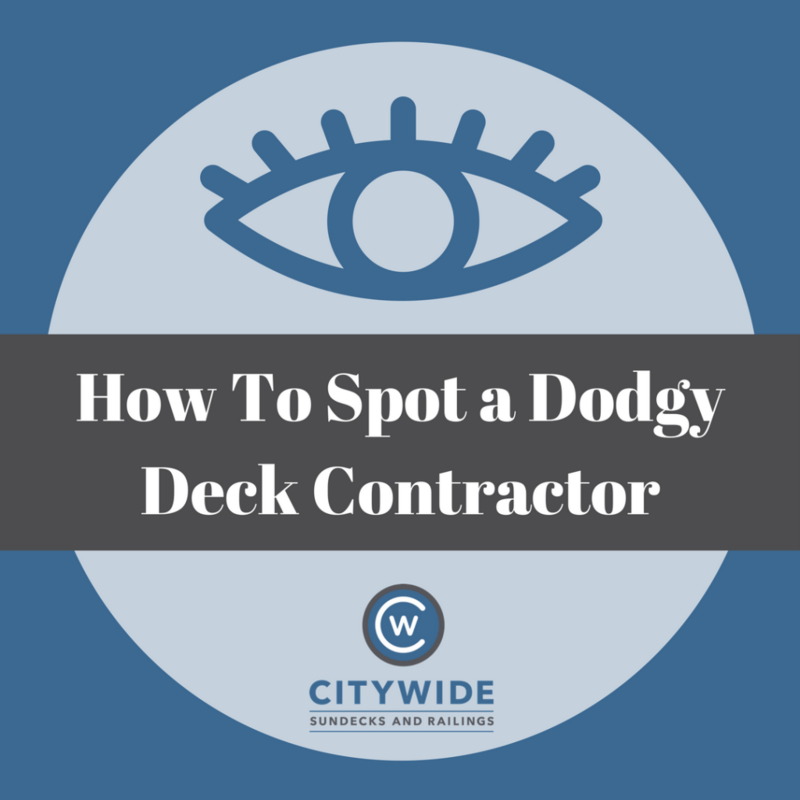 Don’t be afraid to ask a deck contractor about a negative review you’ve seen. Their reaction is likely indicative of how they’ll feel about and deal with your potential issues. When you need a deck renovation or repair, finding someone that can start right away may seem like a godsend. However, especially in the busy spring and summer months, most reputable companies fill their schedules quickly — most have wait lists weeks or months long. If your project is small, maybe they can squeeze it in on short notice, or if you pay a premium they may bump other discounted work. But generally, this ‘blessing’ should be scrutinized a more closely. Ask them for references, how long they’ve been in business, and what other projects they are currently working on to gauge a deck contractor’s reputability. All good salespeople establish some urgency, but when someone pressures you into a decision by capitalizing on your fears or through aggression, that’s plain wrong. Rather than pushing you into an agreement, a contractor should provide you all the information you need to comfortably make a decision. High-pressure sales rely on your impulsivity and fear to get what they want from you — it’s no way to start a relationship that should be built on trust and open communication. Even if your deck is literally falling apart, there is no reason to rush a decision. If someone won’t give you the time and attention to make an informed, logical decision, then don’t give them your money. You’ll undoubtedly have a set of questions for every decking company providing you a quote and estimators worth their salt will have their own questions for you. A contractor needs to know what you want and what your expectations are to be able to give you an accurate quote. They should be asking questions about why you want a deck, who will use it, and how. By understanding your needs, they can make their best recommendations and also understand what should be included or discluded in their quote. When a contractor doesn’t ask questions, they are assuming what you want and need, which will inevitably cause conflict or disappointment. Always, always, always get a written contract. Ensure specifics about what’s included or not included as well as pricing and payment terms are outlined. This contract will serve as your protection if conflict or misunderstanding should arise. Doing business on a handshake leaves you open for a world of hurt. The paperwork also protects the contractor and there’s no reason a legitimate company would want to begin a project without the proper records. The paperwork includes licenses and insurance. If a company can’t produce this upon request, they probably don’t have it and they’re not someone you should ever do business with. Are you a lucky person? When you need a job done fast, but your price is tight, you’re going to need luck to find a good contractor that can help. If you’re getting a screamin’ deal, it’s probably not really a deal at all. Reflect on the previous signs of a dodgy contractor and figure out where you may be having the wool pulled over your eyes. As they say, if it seems too good to be true, it probably is. There are honest, experienced, and affordable deck contractors in this world.  If you’re looking for one in the Vancouver BC area, call Citywide Sundecks and Railings at (604) 786-3325 and ensure your deck story has a happy ending. Previous Post How To Clean Your Vinyl Sundeck Next Post Do You Need A Permit For Your Deck Project?